The winner of Season 3 of New York's Got Talent, Elon Altman is a stand up comedian born and raised in NYC. Elon has featured for Dennis Miller and Demetri Martin, and has headlined the world famous Carolines On Broadway multiple times, including as part of their Breakout Artist Comedy Series. He has been featured on AXS TV's "Gotham Comedy Live" and he was runner up in NBC Universal's "Cozi TV Comedy Search." 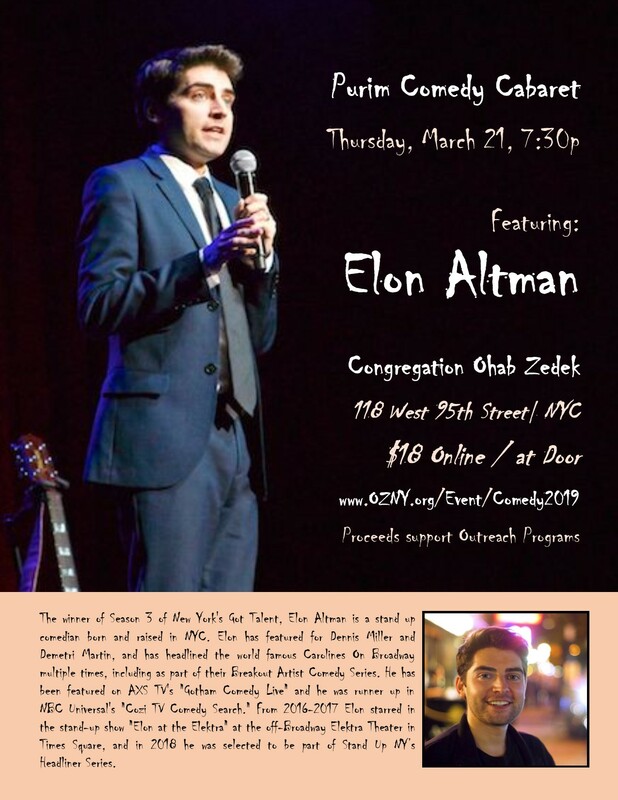 From 2016-2017 Elon starred in the stand-up show "Elon at the Elektra" at the off-Broadway Elektra Theater in Times Square, and in 2018 he was selected to be part of Stand Up NY’s Headliner Series.